Legendary Japanese shoegaze/alternative/metal outfit Coaltar of the Deepers came out of nowhere yesterday at around 7pm with a massive announcement that their first new music in about seven years would be released at midnight. The news came roughly six months after the band’s core member NARASAKI cryptically Tweeted that he was working on Deepers music again. The track, titled “SUMMER GAZER ’92”, is the first single off the upcoming “Rabbit E.P.”, which will be out in November. Both announcements were initially made via NARASAKI’s newly formed label U-desper Records. The announcement of a new Deepers single a mere five hours prior to its release was pretty jolting considering there was no real reason to believe we’d get any new material from one of Japan’s most well-known and influential cult acts. NARASAKI has been incredibly active over the years writing and producing for a bunch of different artists while also creating music for various anime. However, the new was unsurprisingly well-received, with “SUMMER GAZER ’92” at one point reaching as high as number 2 on the iTunes song charts on the day of its release. The song itself was initially described by U-desper Records as a (loosely translated) “hot summer tune for summer lovers”, and with its warm, groovy sound that feels pretty accurate. “SUMMER GAZER ’92” has something of a mellow, jazzy samba vibe, relying on a dreamy swirl of instrumental and vocal textures and a more subtly developing intensity than the in-your-face chaotic sound that Deepers is perhaps better known for. Though it might not be what people expect, it’s a really solid return to action for a very important band and a preview of what is easily now the most anticipated Japanese shoegaze release of 2018. “SUMMER GAZER ’92” is currently available for purchase on iTunes worldwide. Follow U-desper Records on Twitter for updates regarding the “Rabbit E.P.” release. When Yuragi appeared out of Shiga in 2016, it was as another impressive young Kansai act putting out some catchy, and surprisingly loud, poppy shoegaze. Their debut single “bedside” fit in well with the pop-leaning tone of the local scene. When the band released its first EP, “nightlife” just before the turn of that same year, there was something markedly different about its sound – leads were more sunken into the mix, the previously clean vocals were now echoing from whirlwinds of guitar noise. Over the course of nine months and six tracks, Yuragi’s sound had changed into something deeper and even a bit darker. On its latest release, the six-track mini album “Still Dreaming, Still Deafening”, Yuragi shows us something totally new. The CD kicks off with wailing clean guitars over a march-like cadence crescendoing into the post rock shoegaze explosion of “Horizon”. On “Utopia” the band goes back to the uptempo, danceable sound of its previous releases, but doing so in a much more massive way. The reworked version of “bedside” sits in the middle of the album, verifying the band’s transition to much bigger sound by keeping the poppy sweetness of the original but making the guitar wash much more prominent in the mix. Lead single “Unreachable” returns to the melancholic post rock style of the openers, before the almost 11-minute “Path of the Moonlit Night” wraps things up in epic fashion, building from a dreamy lull to a raging outburst of swirling guitars before descending into a quiet marching snare that wraps it all up very comfortably. If I have one issue with “Still Dreaming, Still Deafening” as a whole body of work, it’s that the middle portion of the mini album almost disrupts the flow between the first and final thirds. It’s hard to really complain too much, though, since each of those tracks is ridiculously good on its own. From a songwriting standpoint, this is the most impressive music Yuragi has released to date, and production-wise it’s excellent. 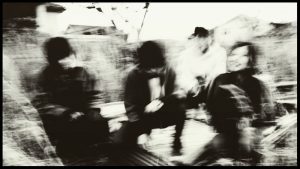 The new generation of Japanese shoegaze is moving in a very cool, very loud direction, and Yuragi, along with bands like Collapse, Softsurf, and YURAGI LANDS, is among the most exciting contributors. You can pick up a copy of “Still Dreaming, Still Deafening” via Amazon (JP), though their previous releases have flown off the shelves so it’s best to do so quickly. Tokyo-based singer-songwriter Aya from Fraqsea and the now defunct Shelling has a new ambient project called Arptranaus. Aya’s music has always been characterized by its rich textures, whether used as the thick wash that defined Shelling’s hazy shoegaze sound or the atmosphere behind her solo work as Fraqsea. So it’s no surprise that she’s been able to create some more stunning ethereal tunes under this new name. Over the past few days, Aya has uploaded a series of cryptically named songs, from the light chime-laden “Noouclxz” to the darker, throbbing bass of “Dlivva”. And of course, her breathy vocals are also featured, echoing from deep in the background. Listening to Arptranaus’ music is sort of like listening to a very stripped down version of Shelling and Fraqsea. It’s a more intimate experience with the basic elements that are essential to the deep sounds of those other projects. Turn off the lights and pop your headphones on. Looking at their lineup, one might expect newly-formed Nagoya quintet I Like Birds would appear to be a shoegaze supergroup. The band’s lineup is stacked with veterans of the Nagoya shoegaze scene including Kosuke Tozuka (vocals & guitar, Apple Light), Yukie Kawaguchi (vocals & keys, me in grasshopper/mishca), Naoki Magota (guitar, Apple Light), Yutaka Mukouda (bass, softsurf), and Naoki Sogabe (drums, Tokenai Namae). As if in premeditated response to any assumptions regarding their sound, I Like Birds introduced itself with a Tweet that started off with the words (roughly translated) “a not-shoegaze band by the Nagoya shoegaze team”. The band’s first demo, “Bus Stop”, confirms its direction away from the gazey side of things, toward a gentler indie pop sound in the vein of Death Cab or perhaps slightly cleaned up Daisies of the Galaxy-era Eels – the latter is maybe more of a stretch based on where I’m assuming they got their name. Of the bands represented by the individual members, Apple Light’s sound comes through the strongest. It’s a pleasant track, with the sort of melancholy that feels just right alongside Tozuka’s voice. Based on the lineup, the expectations are going to be pretty high from the get-go, but it’s hard to imagine this band not being good. Give I Like Birds a follow on Twitter and stay tuned for more news and music. July 10th, 2018 marks the 5 year anniversary of Broken Little Sister’s popular shoegaze tribute to the Beatles. The album, titled Beatless and released under the moniker Meeks, includes ten covers of famous Beatles tracks, but with a dreamy, reverb-drenched twist. To celebrate the anniversary, Broken Little Sister released three extra tracks that didn’t make the original release. They’re currently available at the band’s Bandcamp page for whatever you’d like to pay. Tokyo’s Yukla Down put out their first record material in the form of a three-track demo EP titled “In Demonstrationem”. The five-piece, whose lineup includes a member apiece from Si,Irene and Civic, offers a throwback 90s UK shoegaze sound that isn’t all that common in the Japanese scene. It’s pleasantly scuzzy introduction, particularly on the first track, “Torture Me (With Your Kiss)” which sounds both nominally and tonally like something off of Isn’t Anything, but with a turn of the century American emo tinge to it that’s pretty cool. “If You Only Knew” is another textural ripper of a song with more of a groove carrying along the cascade of harsh guitar noise, while “Borealis” is a chilled-out instrumental featuring droning guitars and a simple bongo-tapped beat. While I don’t bemoan the lack of aggression in Japanese music nearly as much as I used to, I really appreciate Yukla Down’s noisy contributions. The quality of the demo, in terms of both sound and composition, is really solid. The band will be appearing at the July 29th Total Feedback event at Koenji High. For more information you can follow Yukla Down on Facebook and Twitter. 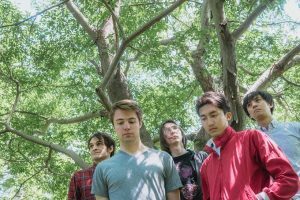 A couple months back, Kyoto newcomers Browned Butter released their first recorded material in the form of a single track titled “Fall”. The song would be more formally introduced via net label Ano(t)raks’ DIE IN POP compilation album. Just this past month the band released a debut 3-track EP of the same via the same label. At first listen, the title track follows a pretty standard pattern for Japanese shoegaze with the blaring lead, somewhat subdued guitar backdrop, male-female twin vocals, and the stripped-down verse crescendoing into the bridge. But while this format can be boring in some cases, Browned Butter’s sound has a really good balance to it. The male and female vocal parts complement each other really well and sit really well in the mix. The melodies are catchy and simple. The album’s second track offers something a little different, playing a bit more like something inspired by “Three Out Change”. It’s more of a deliberately paced guitar rock track, with those excellent breathy vocal harmonies really shining on top of another simple but fun guitar hook. “Fever”, the third and final song, might be the best of the bunch. Again, it’s pretty different from the previous two songs, featuring more of the elements of a shoegaze tune. The vocals in the verse are chilling and when the song explodes into the chorus they just fit in there brilliantly. It’s a powerful track. Though a three-track EP is a pretty small sample, Browned Butter showed some good versatility on their debut. The songwriting is really solid and the vocals are stunning. “Fall” is a great start. Let’s hope they keep it going.